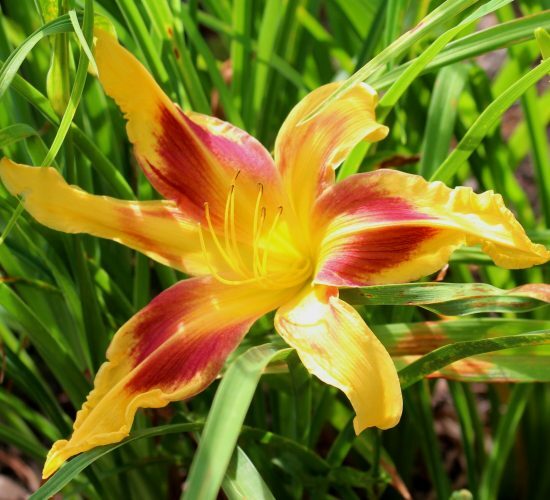 It is summertime and the daylilies are in full bloom. Our neighbors Fred and Sue Briscos have been busy tending to their enormous and gorgeous garden. I am thankful to their dedication and the beauty they have created for all of us to enjoy. 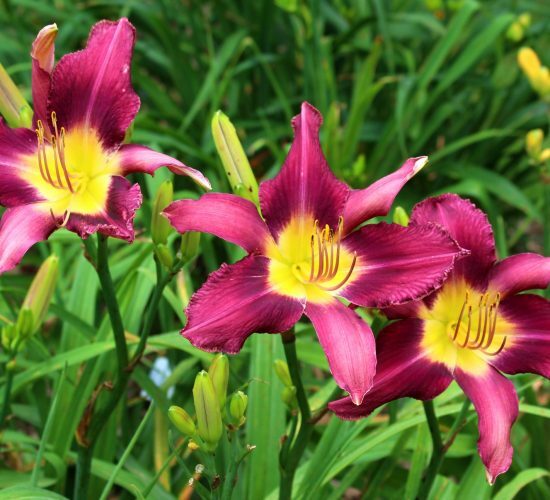 This year I decided to learn about their garden and the beautiful daylilies they grow. 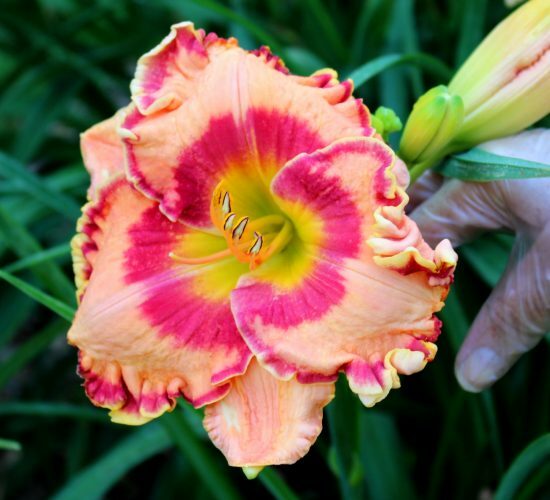 And wow, let me start by saying that I was overwhelmed by the amount of knowledge they have, which is what happens when you have dedicated 40 years to growing daylilies. 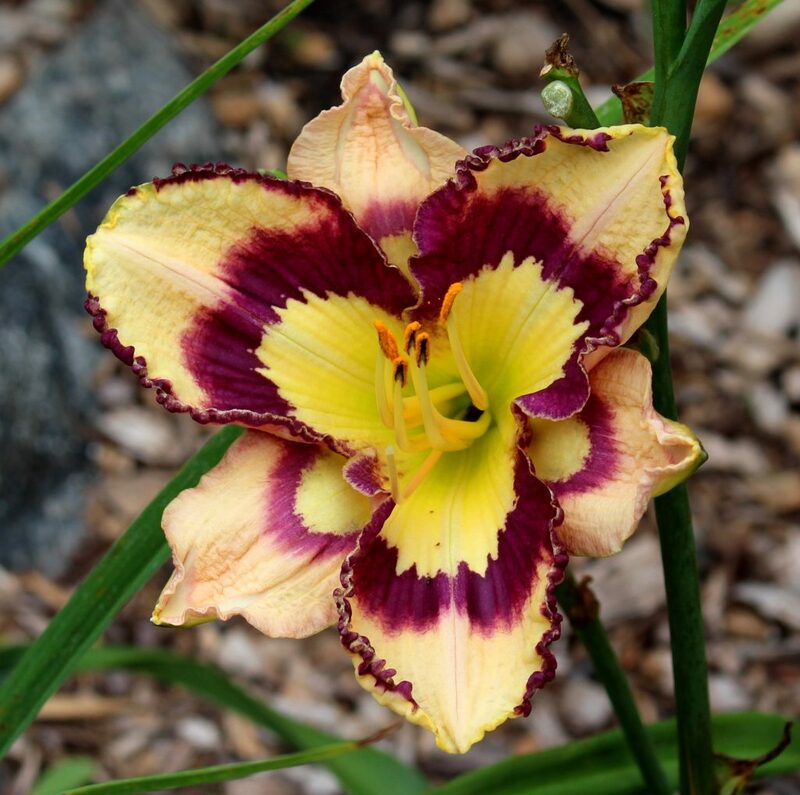 And let me also say that not all daylilies are the same. The nuances, the variations, are palpable in their garden. What a bunch of beauties they have growing. 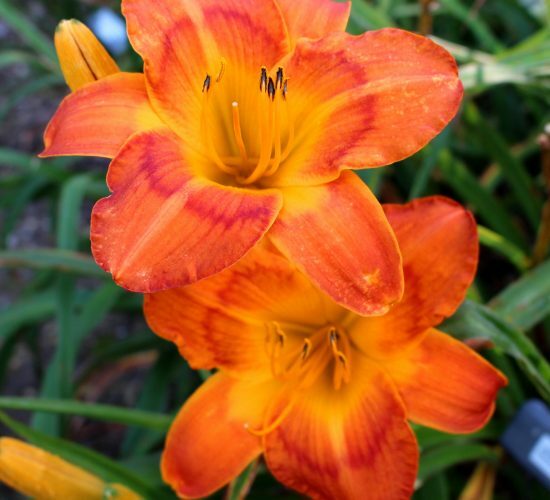 What started as a means to have some flowers in the garden has turned into an obsession, a beautiful obsession. Once upon a time when Fred and Sue met and as with most young families they were short on funds to spend on non-essentials such as a yard garden and I can personally relate to that. 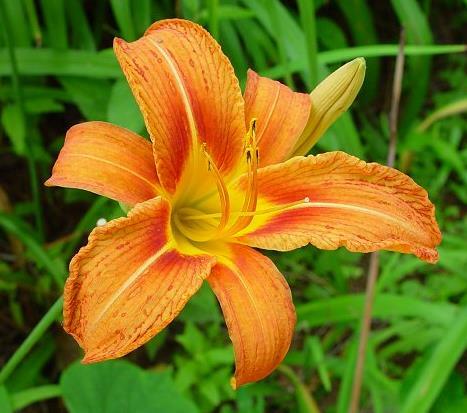 They both loved flowers but Fred noticed Susan’s mother was growing some beautiful flowers in her yard and when asked what she would recommend to grow that would be inexpensive, grow quickly, with no fuss but with lots of beauty, she said: daylilies. So the Mother-in-law gave them a few tubers to start. 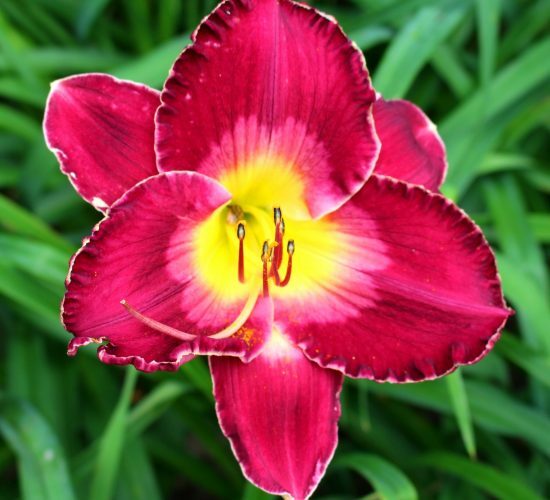 She was correct on the no fuss, quick, and beautiful, but not on the inexpensive because for Fred and Sue, they fell in love with the flower and this has led them to really invest in them. 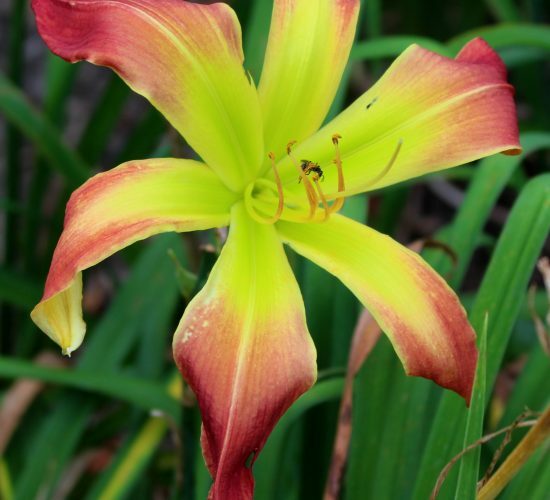 Currently they have over 1100 species (varieties) of daylilies in their yard! 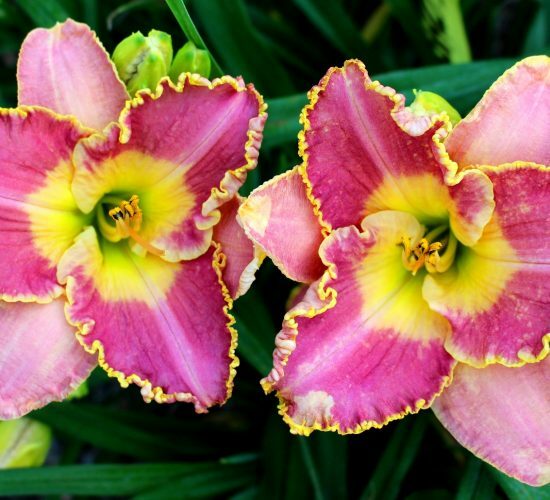 However, the number of daylily plants in their garden is well over 33,000!! 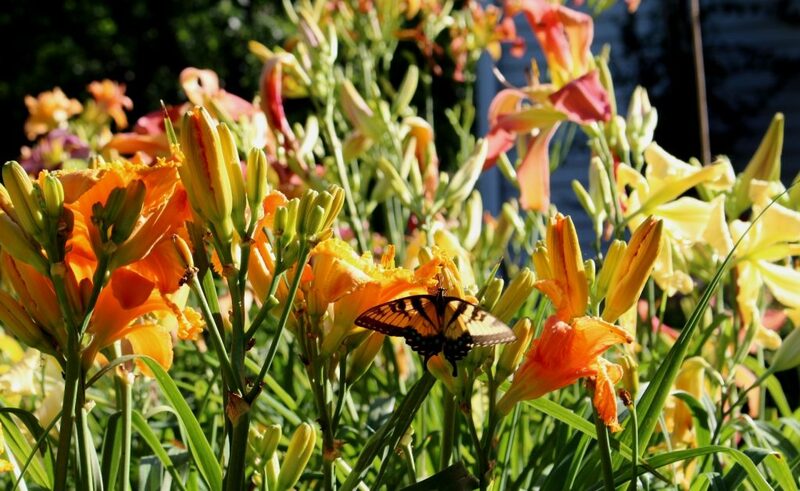 No wonder their garden is so spectacular when in bloom. Through the years they have become an official display garden, a designation earned and only given by the AHS. 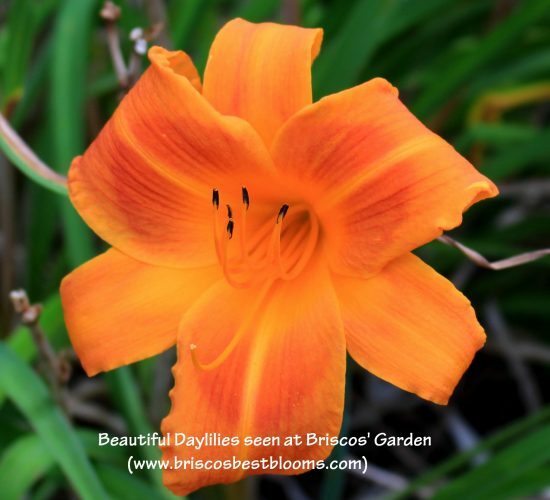 The American Hemerocallis Society is the authority on Daylilies in the world. 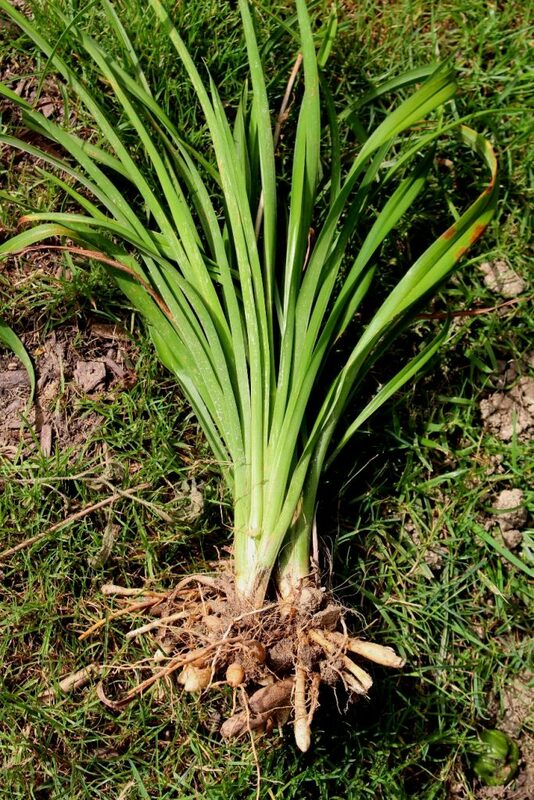 Cuttings of their plants have gone out to the world, as new gardeners want to grow the variant. They have given garden tours and they have invested sweat and money into their hobby. 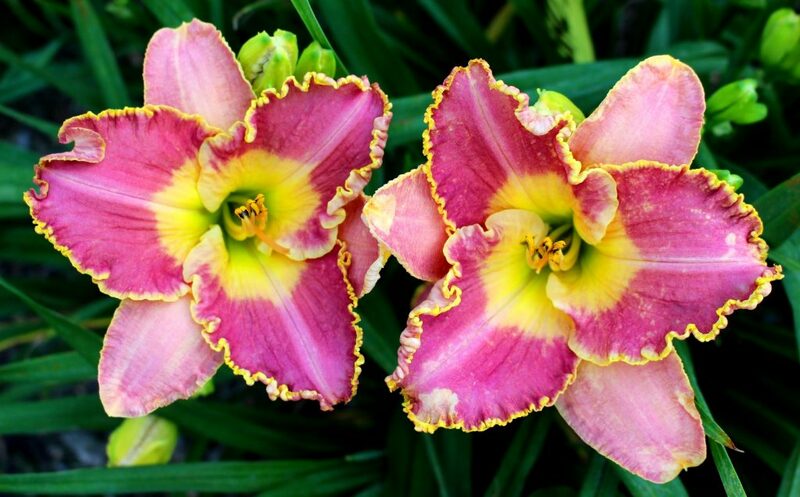 Paying $100 and up for a new plant variation is not uncommon, however, a unique, newly introduced daylily plant can cost more than $400 and they have paid that. 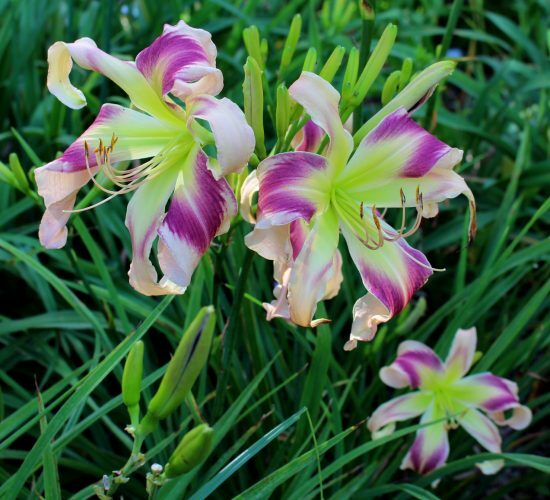 While daylilies can self-pollinate in the wild, the easiest natural way to multiply is by the mother plant sending out new underground runners. This forms a new exact copy of the mother plant and this is also the reason why it is so difficult to get rid of a species from your garden. 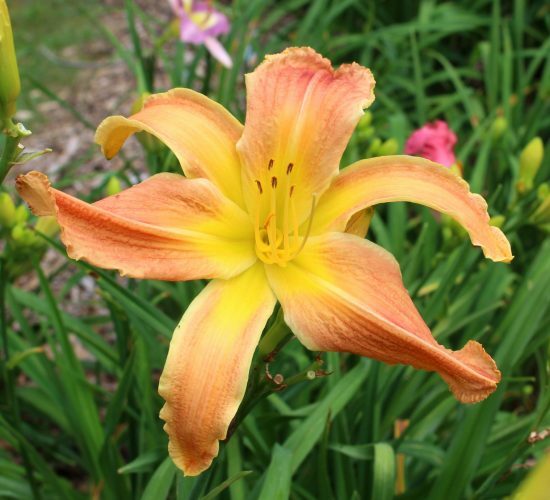 Such is the case with Hemerocallis Fulva, otherwise known as the “roadside” daylily which is what mother-in-law gave them to start. 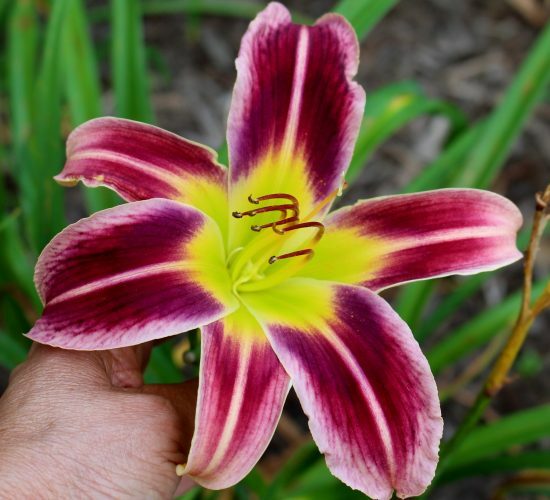 As they became experts in the flower, they have moved away from growing the “mundane” kind to highly sophisticated and unique species but they have found it difficult to eliminate the “roadside” species from their garden as new plants show up despite being dug out the previous season. 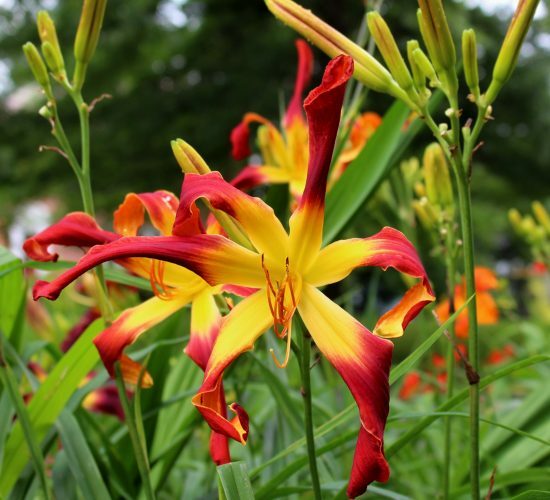 New species of daylilies are created through the process of hybridization, something they considered doing but decided against. It takes approximately 5 years before a new species is truly created with enough quality that it can be recognized and accepted by the AHS. No wonder it costs hundreds of dollars to get a new introduction from a hybridizer. 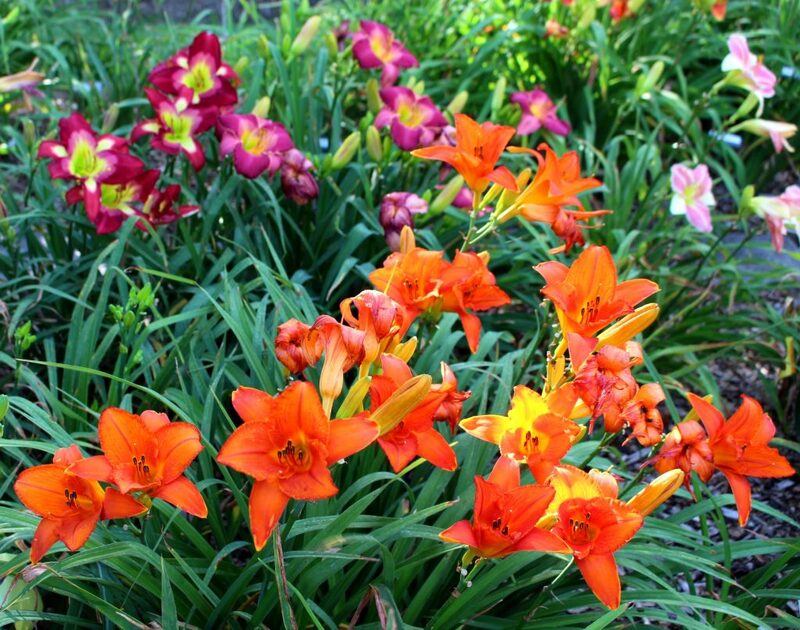 I personally don’t have 40 years to dedicate to growing daylilies like Fred and Sue but I am certainly appreciative of the beautiful garden they have created for me to enjoy in my walks around the neighborhood. Thank you! 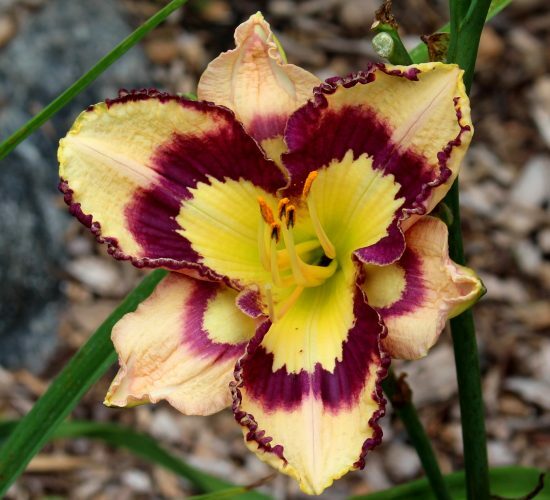 Here is a photo slideshow from a few of the daylilies Fred and Sue grow in their garden.